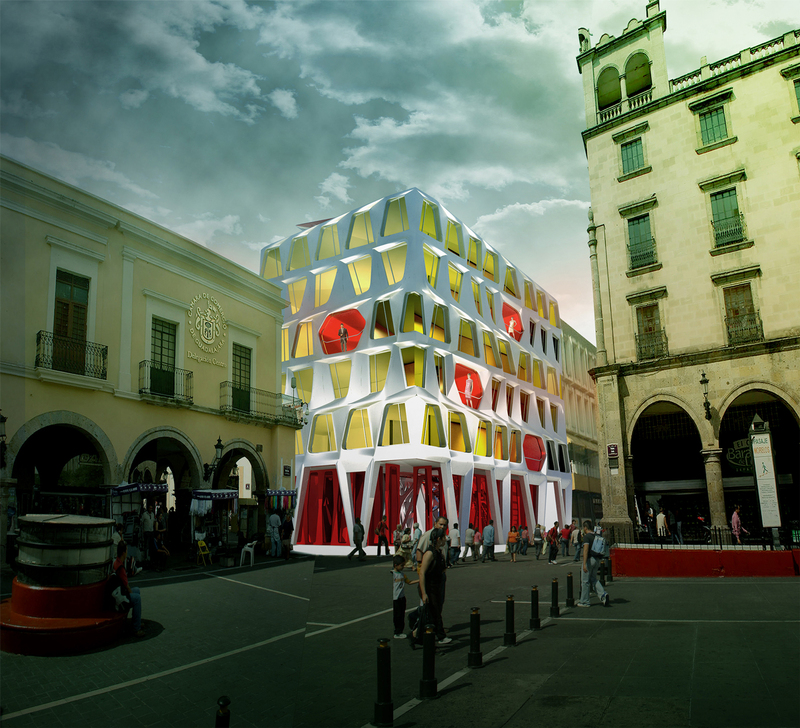 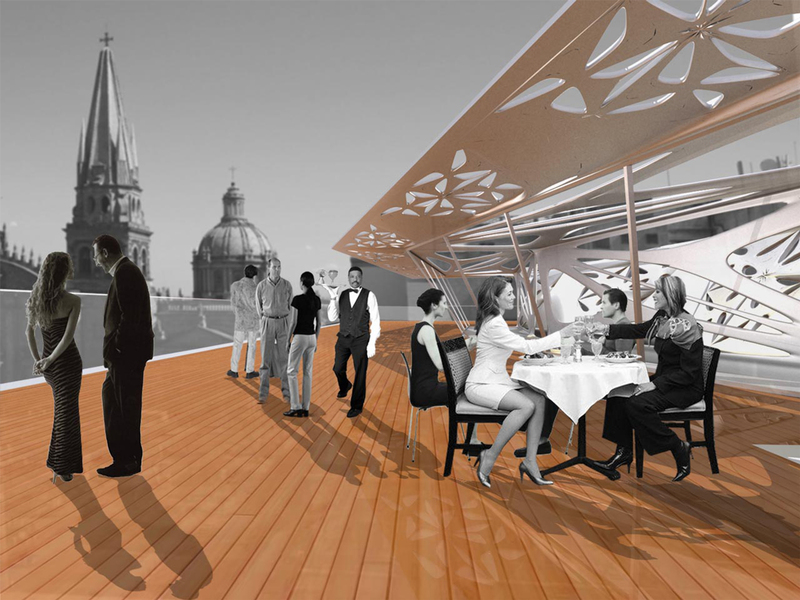 The concept for Hotel Centro, Guadalajara, began with the creation of a structural core and facade, each developed from a triangulated frame that serves as the primary vertical structure. 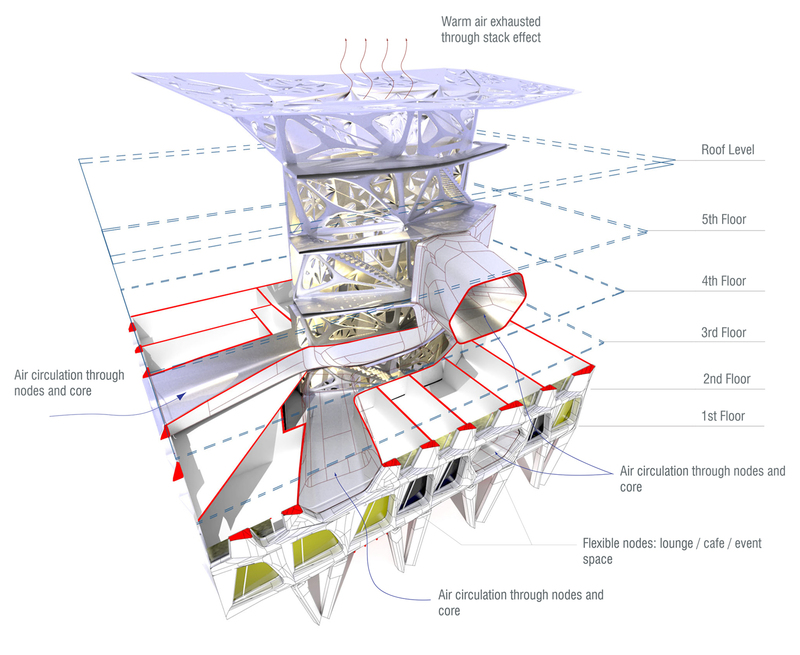 The core serves as a central shaft for light and air at the center of the building. 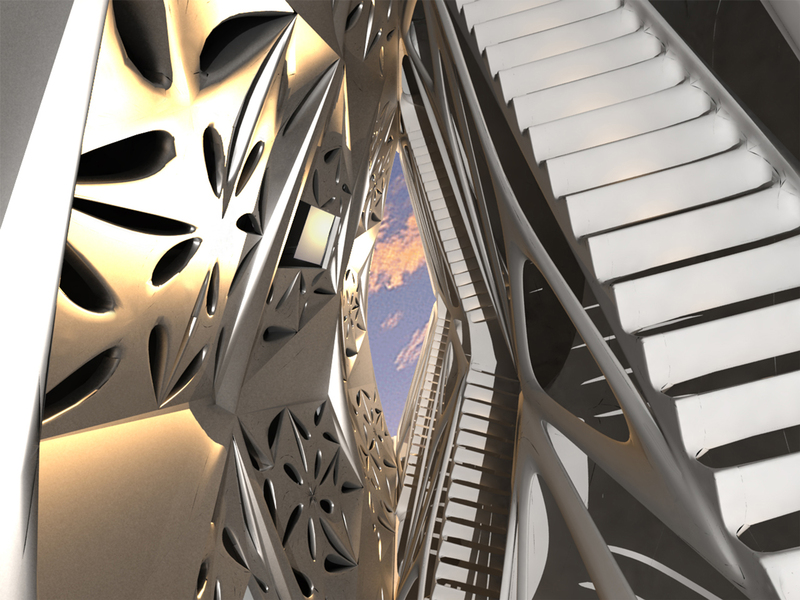 Integrated into the structural core is an inviting communicating stair. 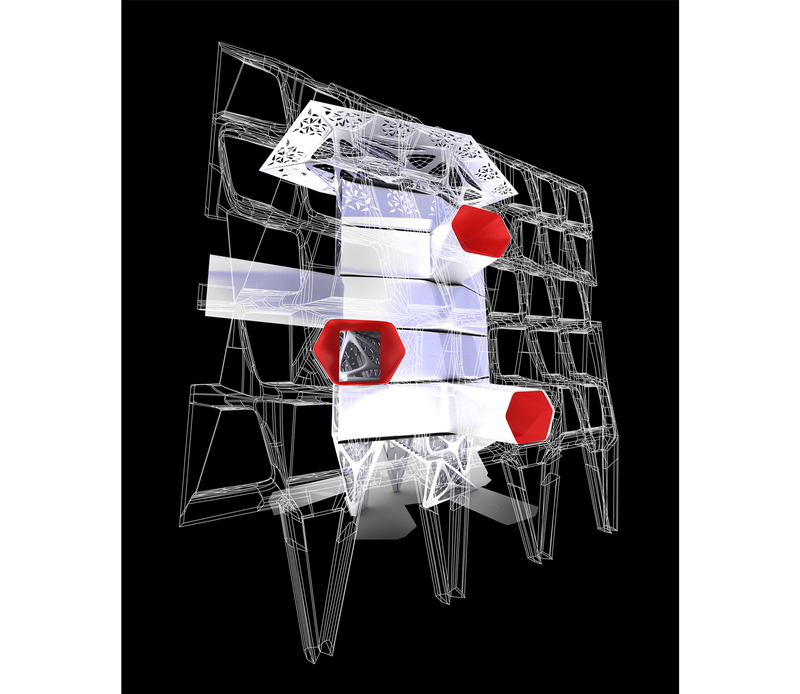 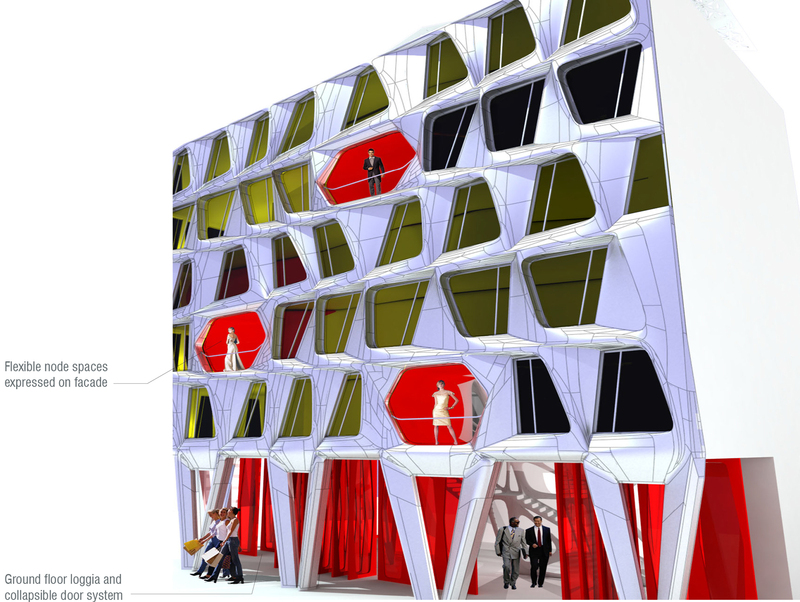 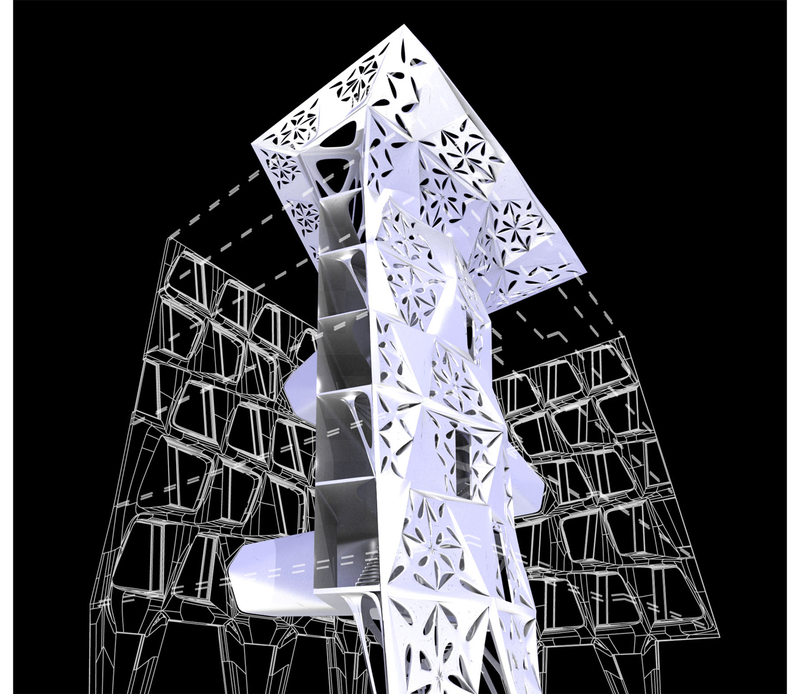 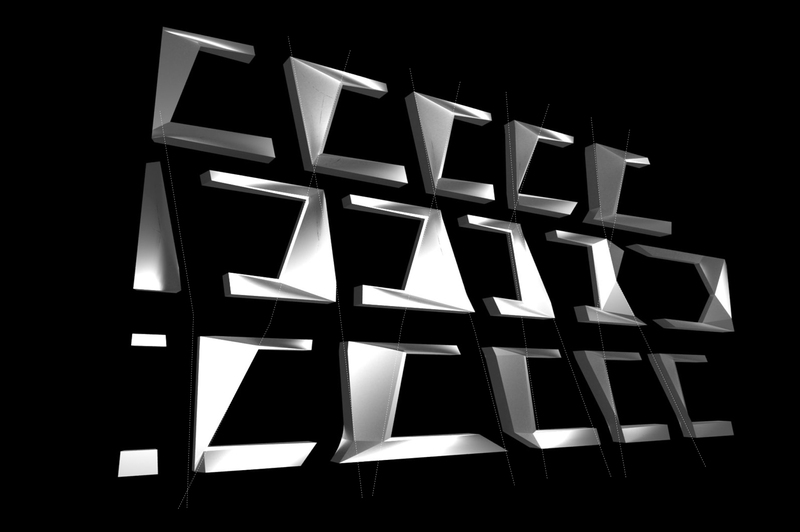 The facade and core are connected by a series of programmatically flexible nodes, one on each level. 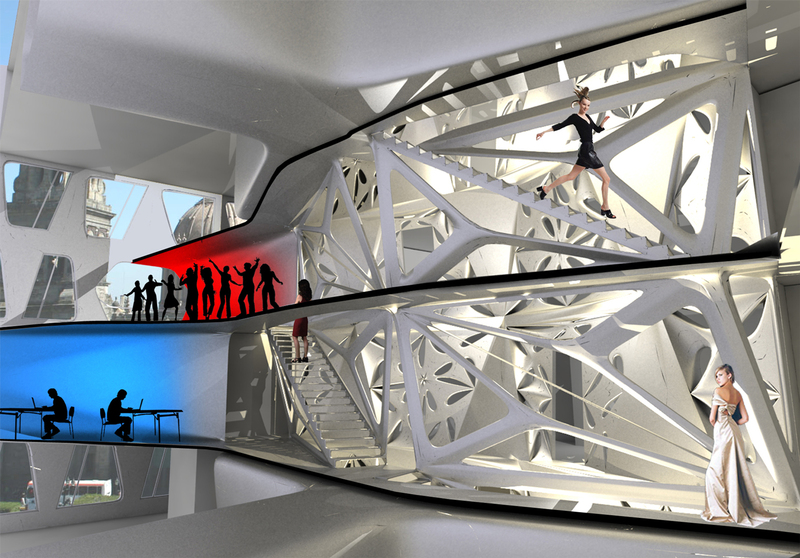 Their uses range from lounge spaces to special event and party rooms, a small cafe, library, or work space. 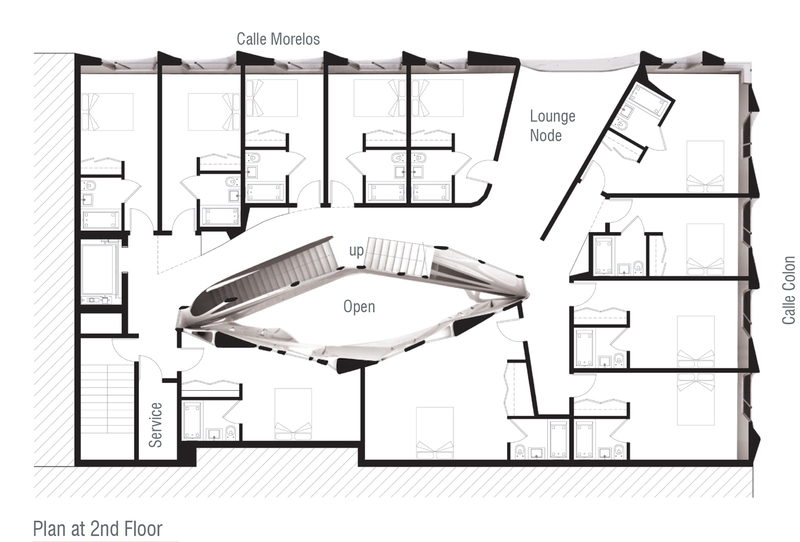 In addition to providing amenity spaces throughout the hotel, these spaces provide natural light to the interior corridor, and can be left open-air in good weather to allow air circulation through the facade and up through the central core for natural ventilation and energy savings. 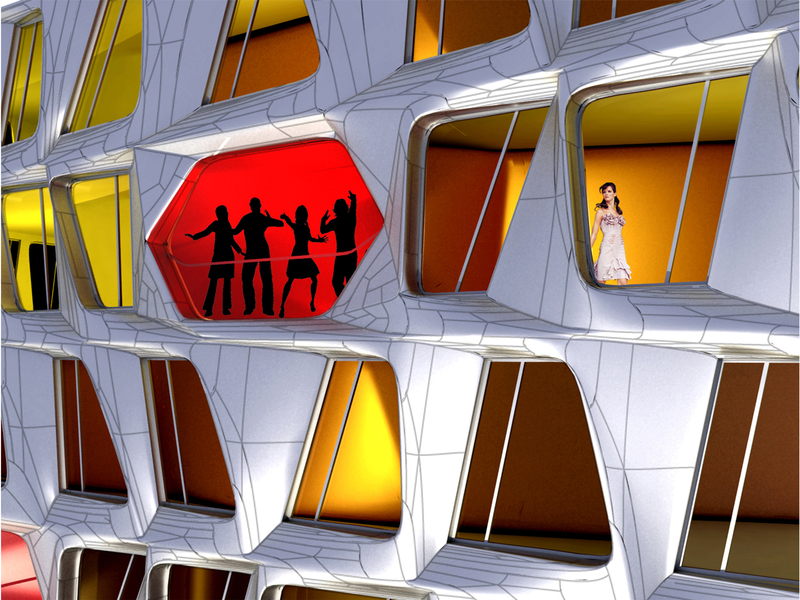 The program nodes are expressed on the facade, and their placement creates a shifting of the structural frame, which results in a series of unique panel sizes.